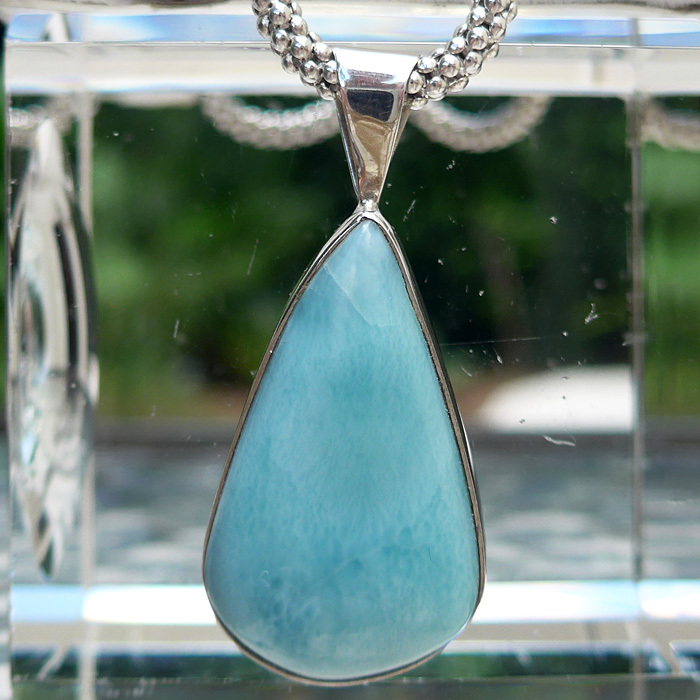 Dimensions (HxWxD): 1.55" x .65" x .30"
This Larimar Elegant Teardrop Pendant, weighing 7.63 grams, exclusive of chain, was designed and fabricated in the Dominican Republic, the island nation where this sea-blue gemstone was discovered. 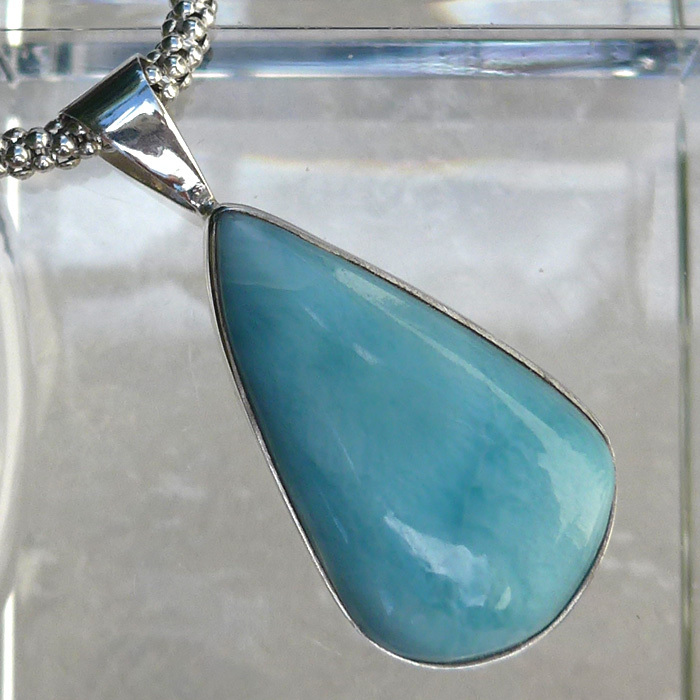 This Larimar pendant is 1.55 inches from the top of the bale to the tip of the setting and is set in Hammered Silver and comes with a simple thin sterling silver chain, complete in its own velvet jewelry box. Note: weight above is shipping weight. 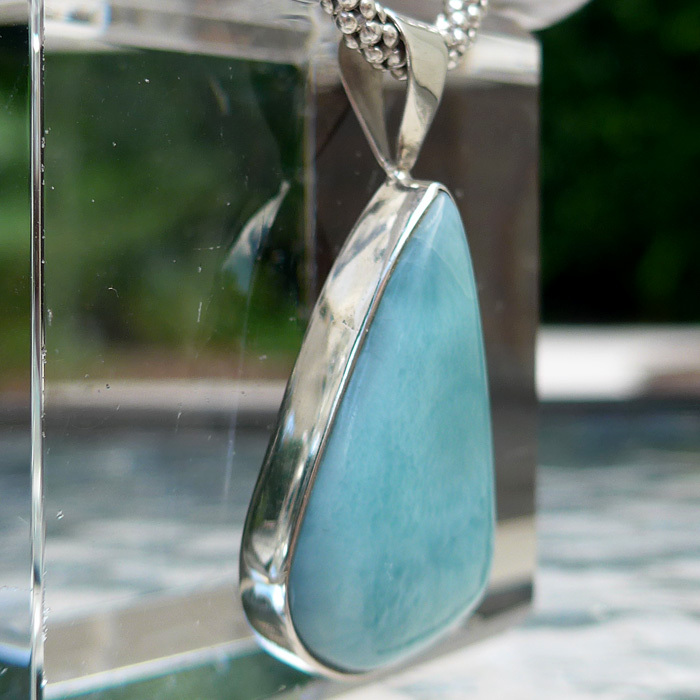 Net weight 7.6 grams excluding chain.